Bieszad’s column is ostensibly about how Buttigieg’s campaign will somehow lead to the “Woman of Sin” – what he calls out Senator Kyrsten Sinema (D-AZ) – being elected in 2024. Bieszad says that Buttigieg will definitely not become president, and he cites an Army major’s prediction that Donald Trump is going to win the 2020 election. That’s some solid evidence. Also Buttigieg is too “effeminate” to be elected president. 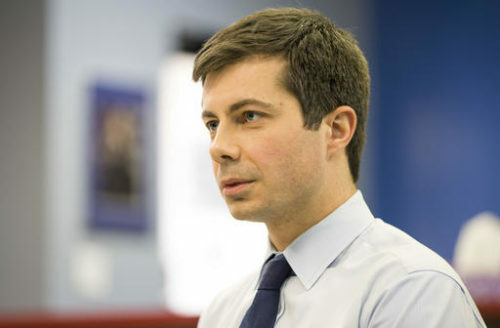 “Buttigieg gives the impression of a Mitt Romney – one looks at him, and one does not exactly feel ‘attracted’ (in the sense of supporting him) to him, or that he would be ‘strong’ enough to ‘lead America,'” he wrote. So what is Mayor Pete up to? Getting Sinema elected in 2024, of course. Bieszad says that Sinema is an “objectively attractive sodomite” and a “white and blonde lesbian,” even though she’s bisexual. He writes that lesbianism “is the top sexual fantasy of American men and has been for decades,” so Sinema will easily “seduce” men to vote for her. It’s hard to understand what’s so bad about this scenario playing out, since intelligent LGBTQ people like Buttigieg and Sinema couldn’t be worse than the current White House occupant.